Senses are numbed by pain and you desperately seek to be elsewhere. Time becomes incalculable. Punishment begins now. The Brvtalist is pleased to present New Brvtalism No. 028 - Blush Response. An American now dwelling in Berlin, this project is far and away one of our favorites for brvtal, industrial inspired techno and dark experimental soundscapes. Since the latest record, "Future Tyrants", was released on Aufnahme + Wiedergabe , it has been on steady rotation just about everywhere. This edition of New Brvtalism continues this punishing theme, and you can expect evil techno with traces of noise, death industrial and more. 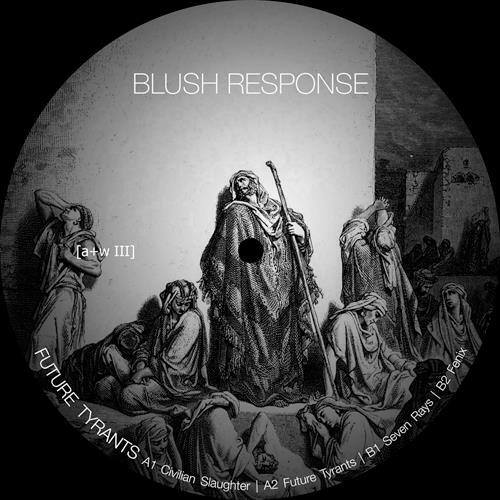 For more Blush Response visit Soundcloud, Facebook and Bandcamp.